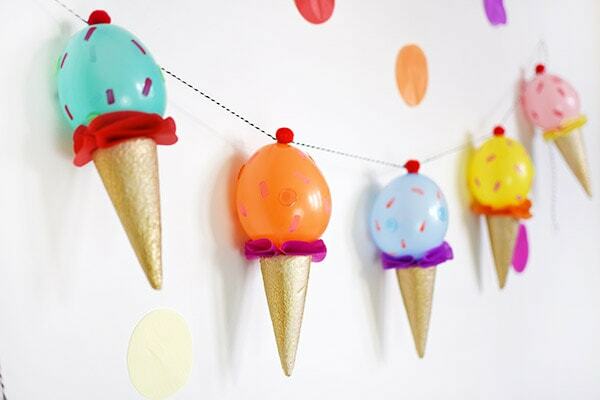 INSIDE : See how to create a tasty treat for your next party – DIY Ice Cream Cone Party Garland out of balloons! 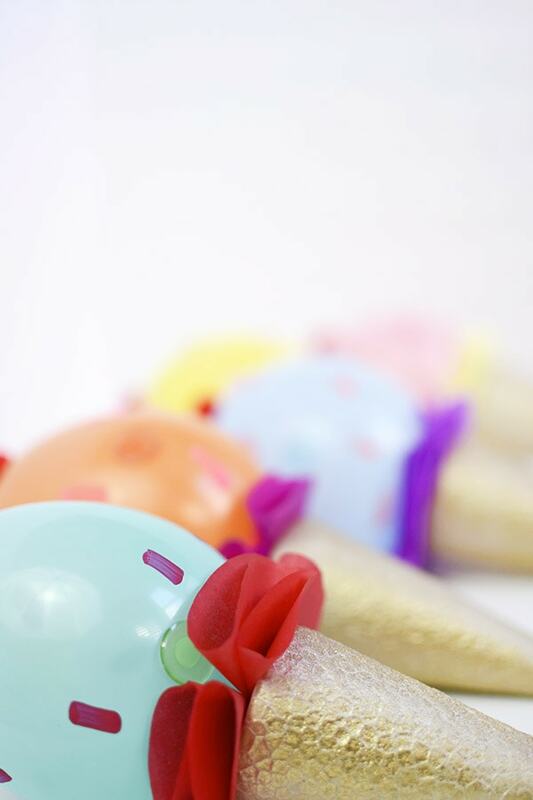 You will be surprised how how FUN they are to make. Everyone loves ice cream, I mean right? Even in the dead of winter, it is a rare occasion for me to pass on a delicious scoop of ice cream if I am offered it. 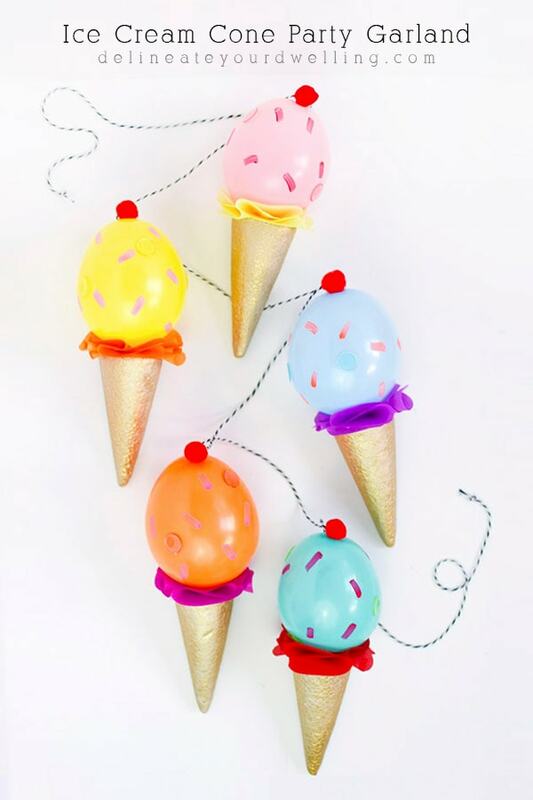 So, I thought it would be so fun to create an adorable Ice Cream Cone Party Garland for this month with Oriental Trading’s supply of the month! Can you guess what our supply was? If you guessed balloons… you would be wrong, ha. This month we were tasked with using foam cones and I gave mine a little paint. 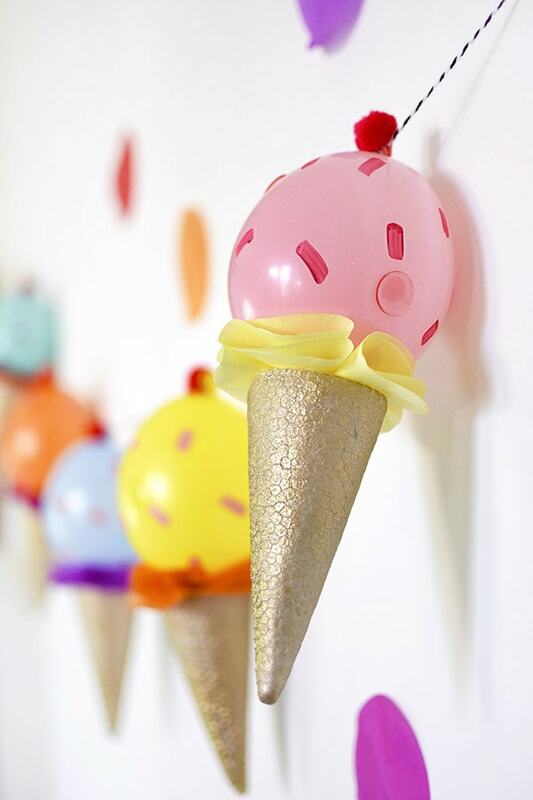 And then used them as the base for my ice cream garland! 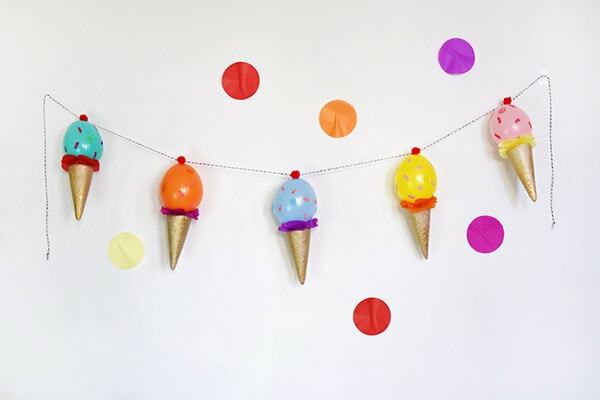 I love the bright colors of this happy party garland. 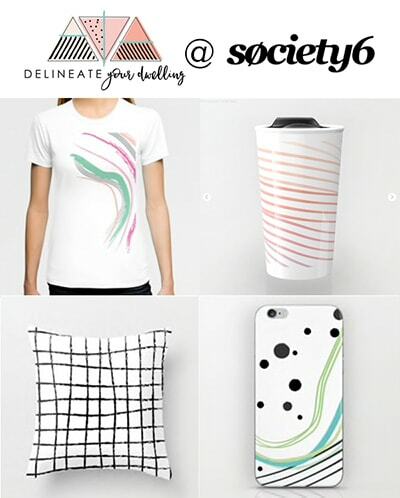 You could really do any color combination to match your party, too. Plus, it was fun to add all the sprinkles and even a pom pom cherry on top! 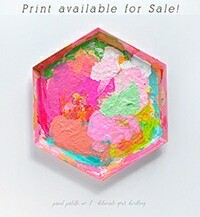 Head over to Oriental Trading’s Fun365 site to see my full supply list for this super tasty and cute DIY. Be sure to see the full step by step tutorial at Oriental Trading’s Fun365 site. Ahhhh these are so gooooood!!!!! Oh my gosh, Amy, this is such a darling idea!! !